Author DragonDonPosted on June 23, 2013 June 23, 2013 Categories ContentTags culture, funny, kits, Korean, South KoreaLeave a comment on What kind of Asian are you? Dangerous Black Blob spotted in the area. Please notify the authorities if you spot it. Author DragonDonPosted on April 23, 2013 April 20, 2013 Categories ContentTags funny, humour, Korea, South Korea2 Comments on Beware #Koreans! Author DragonDonPosted on April 22, 2013 April 20, 2013 Categories ContentTags english, funny, humour, Korea, South Korea6 Comments on Oh #Korea….sooooo close! So we are sitting in the bus terminal, getting our tickets for tomorrow, when all of a sudden, some guy comes riding though the area, on his bicycle, playing some Korean song. Rides around the room once, then right back out. 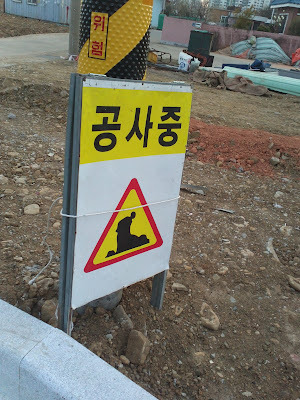 Korea never fails to amuse me.